Dr. John Brackett offers restorative and cosmetic dentistry in Orange Beach, Alabama to help you regain a healthy and beautiful smile. There are a variety of treatments available, and we will carefully consider your oral health needs and smile goals before recommending one. To set up your consultation with our skilled dentist and to learn more about restorative and cosmetic dentistry, please call Doc of the Bay today at 251-981-2273(CARE). When you visit our dental office, our caring dentist will carefully examine your smile. Based on this examination, our dentist will be able to provide you with the best possible recommendations for restoring your smile. Through restorative dentistry, you can gain or regain a smile that is healthy, functional, and beautiful once again. Our restorative dentistry options are comfortable and natural-looking, so you can feel confident in how your smile looks and functions. Gain the confidence you need to talk, eat, and laugh effortlessly once again! If you would like to learn more about restorative dentistry, we welcome you to call or visit us today. We are eager to help you get your best smile back. If you have a cavity, Dr. Brackett can provide you with composite (tooth-colored) dental fillings to restore and strengthen your teeth. Your fillings are specifically designed to match the color of your teeth so that you can enjoy a completely natural-looking smile. The process of putting in a dental filling consists of just one comfortable visit to our office. Our dentist will first remove the decayed and damaged portion of your tooth, and then clean the tooth to remove all traces of decay. We then fill the tooth with the filling material and mold it to match your tooth’s shape. Finally, the filling is hardened for a lasting restoration. Once you have received your implant post and recovered from your implant placement surgery, Dr. Brackett will design a custom crown or other restoration to complete your treatment and renew your smile. Implants are highly stable and long-lasting, and function just like your original tooth to improve both your smile and your oral health. Replacing a missing tooth can restore your smile to optimal health, function, and appearance. A dental implant is a great option for restoring your smile because the implant is designed to look, function, and feel just like your natural teeth. And with proper care, it can last a lifetime. For more information about the benefits of implant dentistry, and to schedule your implant consultation, please call or visit us soon. Dentures replace your missing teeth to give you the ability to chew, speak, and smile with confidence. Your dentures are designed to look natural and provide you with a long-term solution for your missing teeth. They are removable oral appliances used to replace multiple missing teeth. If you are missing several teeth or all of your teeth, dentures might be just what you need to restore the function, beauty, and health of your smile. There are two kinds of dentures: complete dentures and partial dentures. A complete denture is used to replace all of the teeth in a full dental arch. We may suggest a complete denture to replace all of the teeth in both arches or just one, depending on your individual needs. Our dentist may suggest using a denture adhesive for improved stability.A partial denture is used if you are missing multiple teeth but have remaining natural teeth. A partial denture often includes a thin framework or clasps that attach to the natural teeth for a secure fit. Our team may recommend complete or partial dentures to restore your smile if you are missing multiple teeth; dentures can improve your ability to eat and speak properly, restore your natural facial volume, and enhance the overall beauty of your smile. Your dentures will be custom made to fit your smile comfortably, aesthetically, and securely. We invite you to call or visit us soon to learn more about how dentures can improve your smile! When you receive a dental crown, Dr. Brackett will utilize state-of-the-art CEREC technology to design, create, and place your crown in just one appointment! Traditionally, dental crowns have required at least two appointments at our office. However, with CEREC you can now leave our office with a renewed smile after only one visit! A dental crown, or cap, is a restoration that can be used for a number of purposes. One of the most common uses of a dental crown is to restore a tooth that is significantly damaged or decayed. The crown is custom made to fit over the entire tooth, starting at the gum line, in order to restore the tooth to its original shape and size. Dental crowns can be made of gold, porcelain, or porcelain fused to metal. Porcelain crowns are popular because they match the natural color and appearance of most people’s teeth. 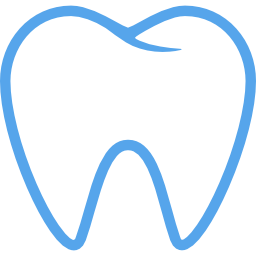 Our dentist will help you determine which type of dental crown will be right for you. Your smile may benefit from a crown if you have a damaged or decayed tooth to the point that a dental filling will not provide a successful restoration. Crowns can also be used for a number of other restorative and aesthetic purposes which include the following. To protect a tooth following root canal treatment. If your teeth are stained or dull, our team can provide you with professional teeth whitening to lighten their color and give your smile a brilliant white shine! Teeth-whitening happens to be one of the fastest, most comfortable, and most effective ways to improve your smile.It is a simple and effective cosmetic dental treatment that we offer to noticeably enhance your smile in as little as one treatment. Our professional teeth whitening treatments utilize a powerful yet safe whitening gel that is applied to the surface of your teeth. This gel works to lighten the appearance of stains, discoloration, and yellowing on the tooth enamel. Teeth whitening is often available in both in-office and take-home systems. Professional teeth whitening can give you a noticeably whiter smile that will boost your self-esteem and help you smile with pride. Consumption of certain drinks and foods, including tea, wine, coffee, and soda. Smoking and other forms of tobacco use. Our dentist will work with you to determine the right type of treatment and treatment length to achieve the smile aesthetic you desire. To learn more about our teeth whitening services and to set up your consultation at our office, please call us today.